Work-related car accidents account for a large percentage of all on the job injuries. OSHA warns, more than 1,766 deaths a year result from occupational transportation incidents. That number is more than 38 percent of the 4,547 annual number of fatalities from all occupational injuries. 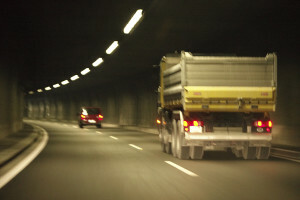 Many Georgia employees are not aware that when they are injured in a motor vehicle accident while on the job they may be entitled to more than just workers’ compensation benefits. The fact is that both a workers compensation claim and a personal injury claim may possibly be pursued. Georgia work accident victims are, of course, entitled to a number of benefits ranging from medical care to weekly indemnity checks. These benefits may be limited, however, and not allow an injured worker to receive full compensation for an injury. Thankfully, the workers compensation system is not always the only option for an individual hurt in a work accident. It is true that Georgia law includes a statute that is commonly referred to as the ‘exclusive remedy doctrine’ which prohibits an injured worker from bringing a personal injury action against its employer. This statute does not, however, apply where a third party unrelated to the employer is at fault in causing the work accident. Under such circumstances, the injured worker may also have a personal injury case in addition to the workers compensation claim. Thus, where a worker is injured in a car accident by the fault of another, a personal injury claim may exist against that party. These third party claims often result in recoveries that are substantially more than the recovery allowed under a workers compensation claim. Because these claims are legally complex, a worker injured in a car accident should seek the assistance of a Georgia attorney experienced in both personal injury and workers’ compensation. We Fight for Victims of Work-Related Accidents in Georgia…Contact us Now for a Free Consultation. The Murray Law Firm has extensive and successful experience in representing Clients in both personal injury and workers’ compensation claims. The Murray Law Firm has recovered millions of dollars for our workers compensation and personal injury clients, and we offer our legal assistance, if desired. Anyone seeking further information or legal representation is encouraged to contact us via e-mail (click here) or by telephone at 888.842.1616. Consultations are free and confidential.